A white star in the central regions of the constellation Andromeda. The Mu Andromedae system, which is about 136 light years from Earth, is a multiple system with four component stars. It appears close to the Andromeda Galaxy in the sky, and an imaginary line from the brighter star Mirach (to the southeast) through Mu Andromedae makes the Galaxy easy to locate. 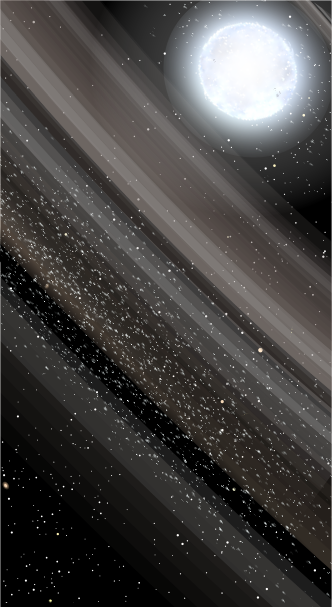 Swarming around the white star Mu Andromedae are rings of material extending out into space, potentially containing asteroid-like objects or planetoids.